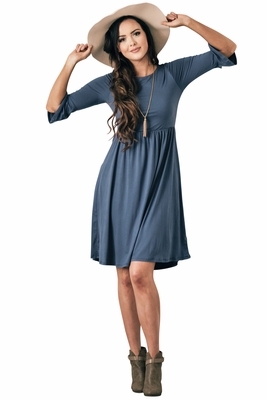 The Naomi dress is a comfortable & casual classic style with an amazing flattering fit! Features include a rounded neckline, 3/4 length ruffled sleeves & gathered elastic waist...plus, the fabric is buttery soft! The simple silhouette is easy to accessorize, whether you need to dress it up or down. It works beautifully for church or date night, but the flattering fit & rich color also make it a great choice for a modest bridesmaid dress! Also available in Coral w/Floral Print, Burgundy Plum and Navy. 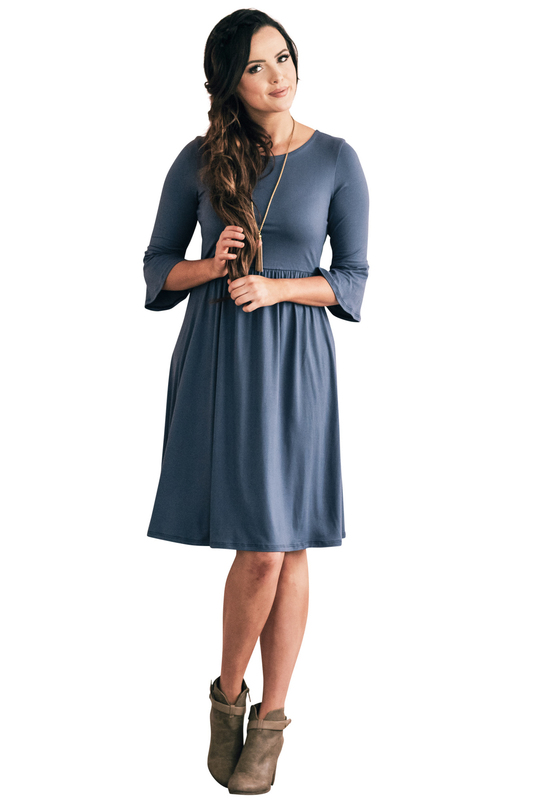 Length: (from shoulder to bottom of dress) XS-S 38.5", M-L 39", XL-2XL 39.5"